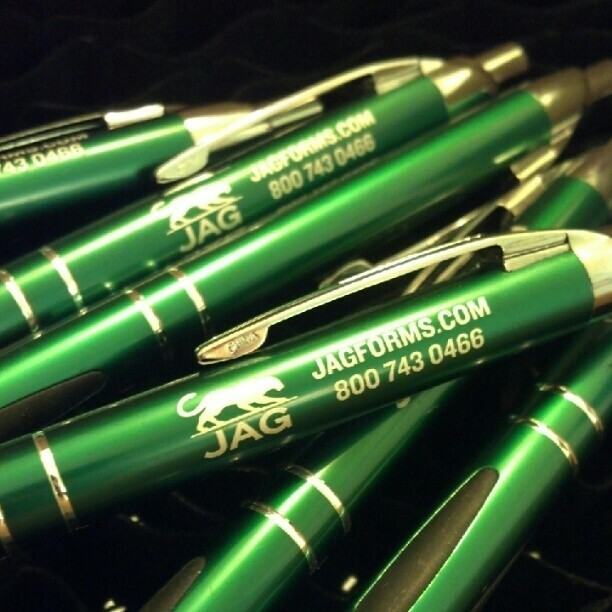 We wouldn’t offer promotional products to you, our clients, if we didn’t believe in using them ourselves. With the recent growth of our team, we implemented new marketing strategies. They include this shiny new website here, as well as the addition of our social media network on Facebook and Twitter. We also recently launched our new updated logo — a sleeker, more modern looking image of the Jag jaguar. With the new logo came the need for new business cards. And since we’re looking at expanding our marketing efforts and growing the business to match our new employee, we also wanted marketing materials. 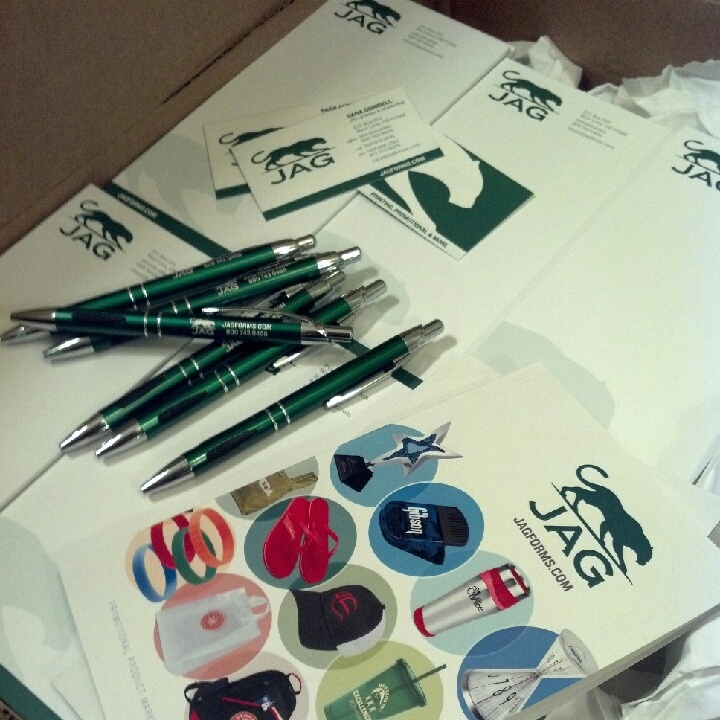 We ordered up catalogs that show you a small sample of the broad options available in promotional products. 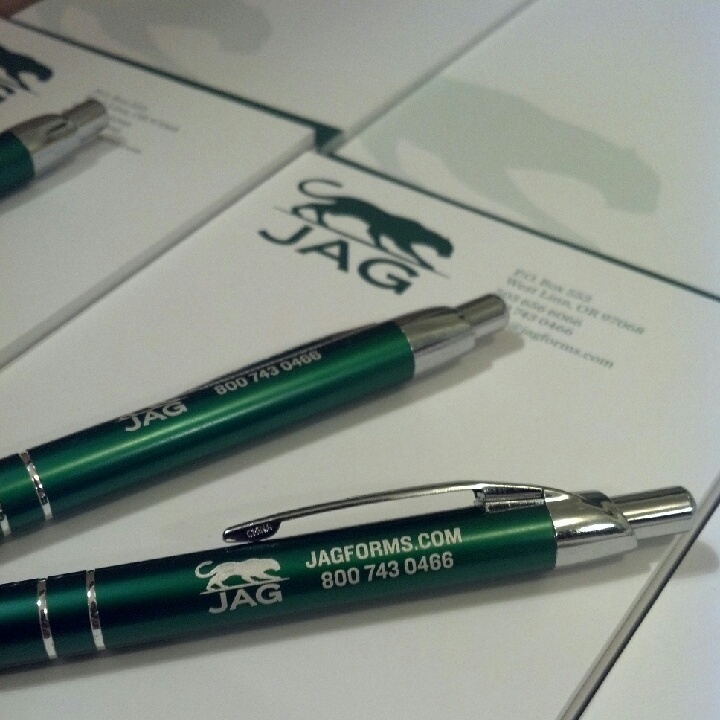 And we wanted swag to offer our current and potential clients. 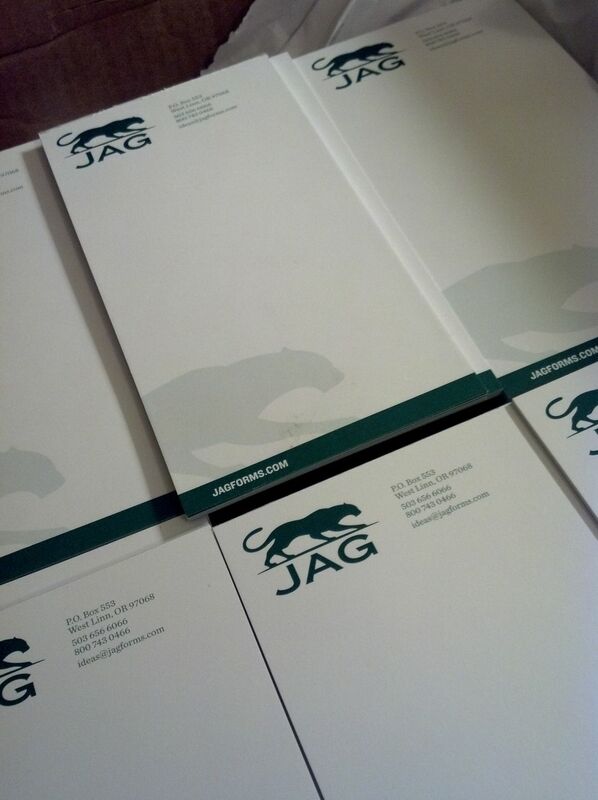 That’s why we also went the extra mile, ordering up some gorgeous pads of paper and coordinating pens. These are simple promotional products, but ideal for us because we can bring them to meetings and hand them over for clients to use when taking notes. At the end of the meeting, they’ll go back to the office with our company logo and contact information right in front of them. We took our own advice: we created promotional products to help market our business and keep our name front and center with our clients long after our meeting has ended. Give us a call when you’re ready to do the same. Great website. Nice to meet you tonight at the Haas meeting. I’m looking forward to working with you.